The Coalition Government plans to revive its troubled superannuation reforms by removing the much-despised $500,000 lifetime contribution cap and dropping plans to remove the work test for over 65’s . In its place, they propose to reduce annual non-concessional contribution caps to $100,000 and prevent use of them once an individual’s superannuation balance hits $1.6m. The proposed carry-forward of unused concessional contribution caps will also be deferred for a year until 2018/19. Given the proposed $1.6m pension cap, it makes sense for the rules to align with people’s contribution efforts towards achieving this goal. However, the annual cap only assists those with the ability to contribute regularly. But business owners who are investing in the growth of their businesses and thereby driving economic activity may not obtain much practical use of the change, as they won’t be able to liberate the cash, perhaps until an exit event. And it is on exit that mid-size business will be penalised. Small businesses will be free to contribute as much as $1.415m from the sale proceeds of their business into super – and this is in addition to other caps available and appears to apply irrespective of whether the super balance is already beyond $1.6m. Mid-size business owners will be limited by the new annual caps: ie $100,000 non-concessional and $25,000 concessional, and only if they meet the work test if they are over 65. The changes do not commence until 1 July 2017 at the earliest. As such, mid-size business owners now need to consider how they can use the current rules to their benefit, which allow up to $540,000 each in non-concessional contributions. Whether their businesses can cope with the stress of releasing of such capital is another question, as is whether these proposals will survive their way through a potentially hostile Parliament. 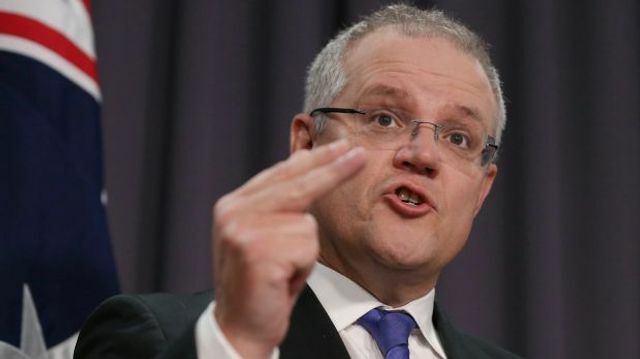 Treasurer Scott Morrison has unveiled a compromise deal on superannuation changes that dumps one of the most controversial elements of the "ironclad" policy and saves an extra $180 million.The headline change to the package is the axing of a proposed $500,000 lifetime non-concessional cap on super, which was to be backdated to 2007.